I made this spaghetti and meatballs recipe before I goes on holidays and I completely forget to post the recipe earlier on the blog. 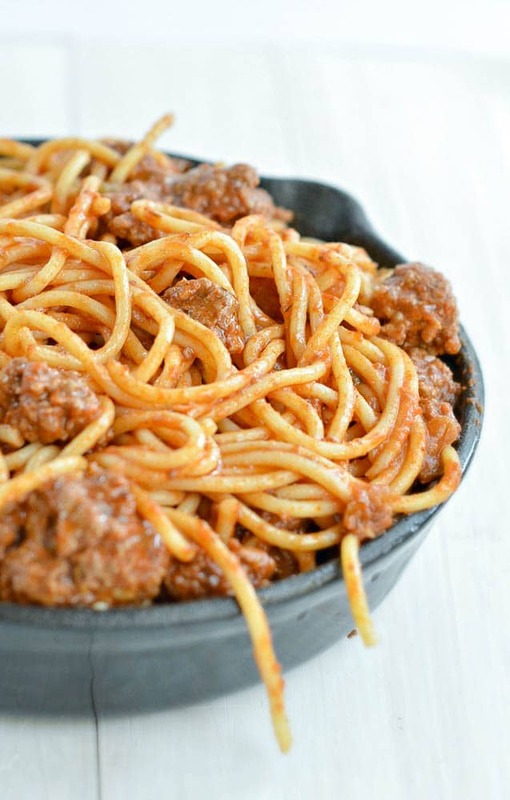 As I was preparing my husband lunch box today I found some leftover in the freezer and it reminds me how yummy this spaghetti and meatballs recipe was. 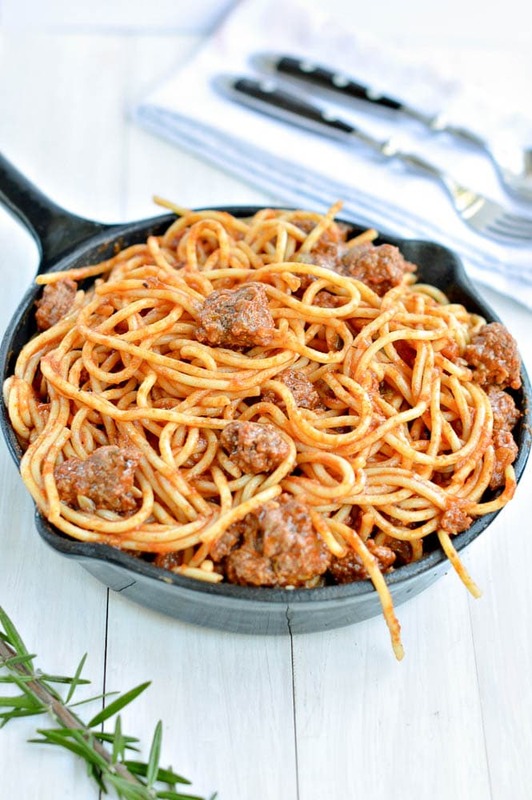 What makes this recipe different to others spaghetti and meatballs recipe are two ingredients that you are not used to have in tomato spaghetti sauce. 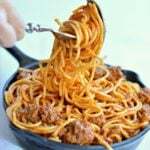 The 2 magical ingredients that create a super tasty spaghetti and meatballs recipe with juicy beef meatballs are red wine and finely diced chicken liver. The meatballs are hand shaped with a mix of minced beef and finely diced chicken liver. If it is the chicken liver that makes you doubt about this recipe, don’t! Give it a try. As the sauce is simmered for a while and the liver is finely diced it does not taste like liver. It simply makes the meatballs super tender and they melt into your mouth. I learnt this recipe from an Italian friend so it is not something I created on my own. I would actually never thought that I would eat chicken liver before she made me this recipe. I used quinoa spaghetti to make this spaghetti and meatballs recipe but any spaghetti will works well too. I love quinoa spaghetti as they contains more fibre and the texture is firmer than regular wholewheat spaghetti. However if you are not gluten intolerant wholewheat or spelt spaghetti are very healthy options too and much cheaper! A comforting quinoa bolognese spaghetti recipe with juicy beef and liver meatballs cooked in spicy tomato sauce. Peel the onion and garlic clove and finely diced with a sharp knife. In a large saucepan, under medium heat warm olive oil. Add the garlic an onion, reduce to low heat and cook for 2-5 minutes until golden and fragrant. Stir constantly with a wooden spoon to avoid them to burn. In a bowl, mix the minced beef with the finely diced chicken liver. Add the dried herbs if you like. I did not this time as my little girl do not enjoy them so much. Shape meatballs with your hands to blend the meat together and forms meatballs of different sizes. Add the meatballs into the saucepan and fry the meat for 2-3 minutes on all sides. Cover and simmer 20/30 minutes or until the liquid slightly thicken and reduce. Adjust with salt and pepper regarding taste. Meanwhile cook the spaghetti regarding your packing instruction. Use hot boiling water with a pinch of salt and a tablespoon of olive oil to avoid them to stick. When cooked wash them under cold tap water. Drain well and transfer into the saucepan with the tomato meatballs sauce. Cook for 10 minutes until the pasta or hot and flavoured by the sauce. Serve topped with fresh herbs or grated parmesan cheese. This recipe serve 4 people and can be stored in the fridge for 5 days. You can also frozen the spaghetti and meatballs in an airtight container. Defrost the day before eating and rewarm in the microwave. I truly believe that there’s never a bad time for spaghetti and meatballs. 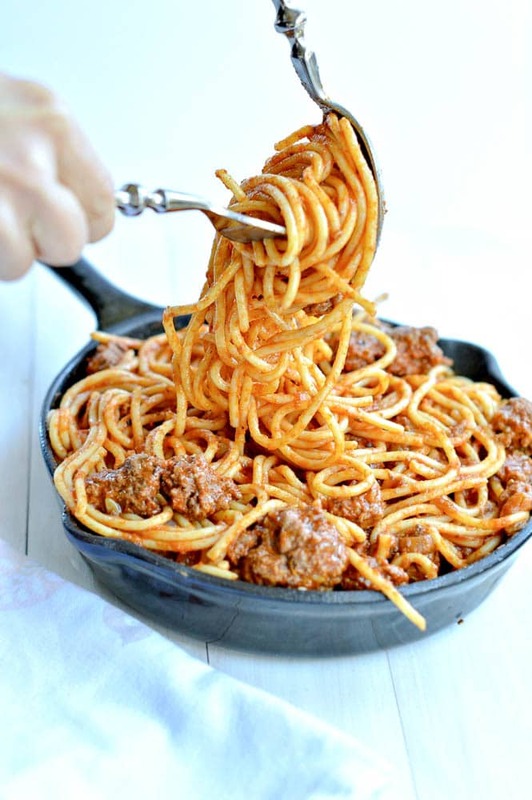 For some reason, it’s the dish that just makes me feel comforted and happy and content no matter what’s going on in my life– not sure if that’s from the carbo-high or my childhood memories, but either way I totally love it! Need to try this recipe soon! Hi Karly, So true ! it is the kind of simple comforting dish we could eat all year long right? Tell me if you like this recipe. I very enjoy the addition of chicken liver in the meatballs it makes them extra juicy and tender. See you soon on the blog! Merry Christmas too! Carine. Kia ora Victoria! I am so happy to read your comment. Unfortunately I only wrote one cookbook in New Zealand and it is a sweet one. The rest of my low carb baking recipes are here on the blog, for free. 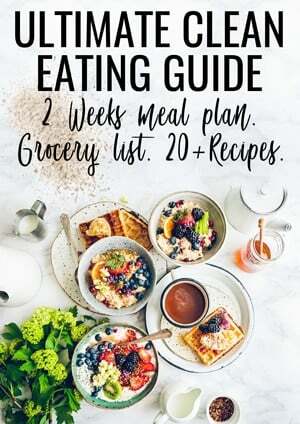 I also love to read books so I totally get the frustration to navigate through a blog but my passion is to write here and I hope you will enjoy every recipe I post. Enjoy the recipes, XOXO Carine.